Have you ever wondered what happens to your shadow while you sleep? Well, it turns out that some shadows are more mischievous than others. And soon after moving to his new home, Flash discovers that his shadow has moving plans of his own! 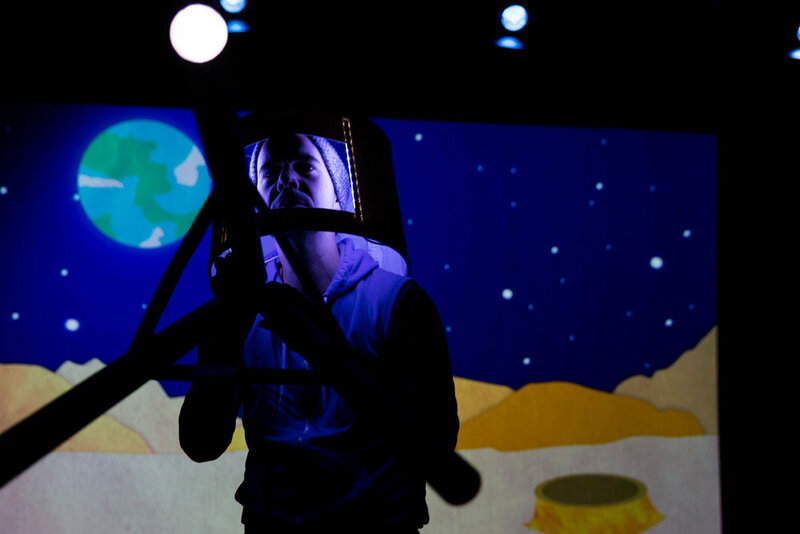 Follow the playful adventures of Flash and his exciting quest to reunite with his shadow in this multimedia performance for the youngest of audiences (ages 2-5) and the young at heart. Developmental workshops with students ages 2-5 from the Early Childhood Center at the University Settlement (Lower East Side and East New York) and the Pre-School for the Arts, TriBeCa NY. Shadow Play was developed as part of a residency at The Performance Project @ University Settlement. Trusty Sidekick Theater Company artists led development workshops with student ages 2-5 in the Settlement’s early education program. 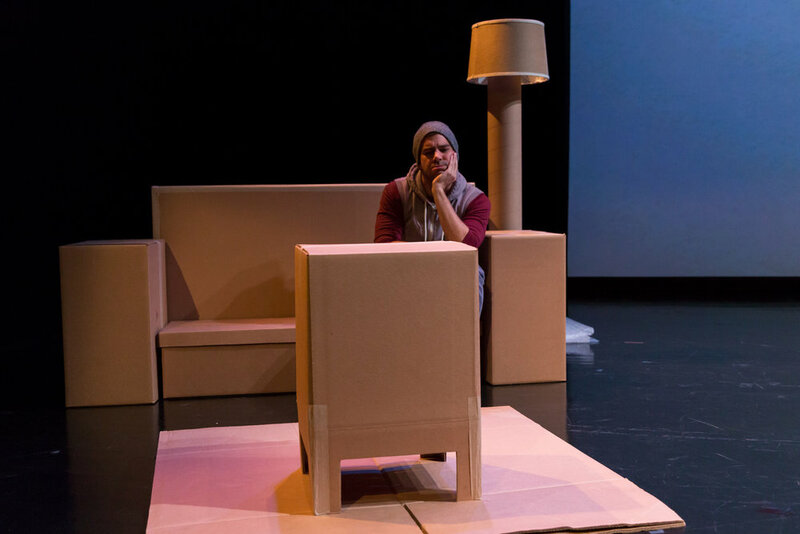 Through a series of creative play and story development workshops led by a team of teaching artists, the students offered their ideas about the nature of shadows and acted as dramaturgs, informing the devising process of the artists as they created the show. 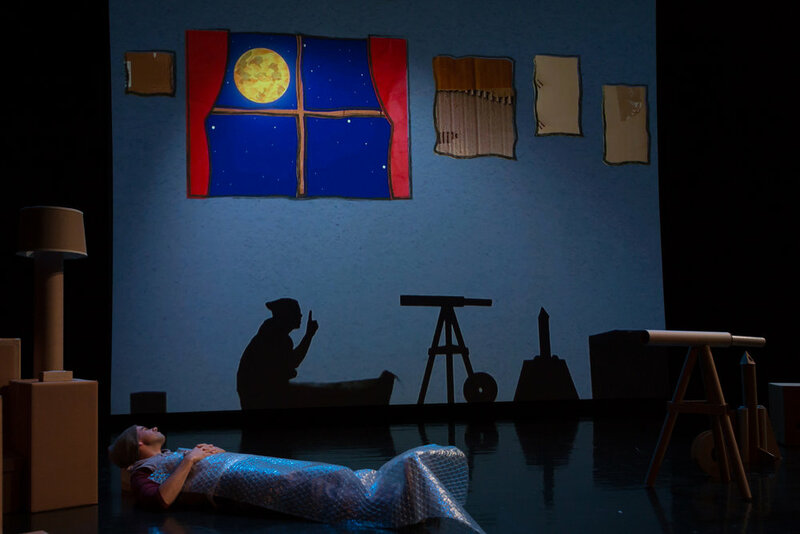 Shadow Play was funded in part by an Aurand Harris Theatre Grant from the Children's Theatre Foundation of America. Aurand Harris Grants and Fellowships are made possible through an endowment established by the late Aurand Harris and administered by the Children’s Theatre Foundation of America. Aurand Harris, one of this nation’s most published and performed playwrights for children and youth, enormously enriched the literature of American children’s theatre. Plays such as “Androcles and the Lion,” translated into 10 languages, “The Arkansaw Bear.” “The Toby Show.” “Rags to Riches.” and “To Ride a Blue Horse.” are but a few of his plays that fill stages in this country and abroad. Harris’s writings, informed by his studies in Kansas and at Northwestern University and by his teaching initially, in the Gary, IN school system, and subsequently, for over thirty years at Grace School in New York, have captured the spirit and interests of children for generations. Harris had a deep concern for artists particularly playwrights who devote their careers to creating quality theatre for young audiences, and for theatres who produce theatre for children. Through his foresight and generosity, the Children’s Theatre Foundation of American has been able to establish Aurand Harris Fellowships for artists serving young people and grants for small and mid-sized theatres throughout America.